It should come as no surprise that the world we live in is becoming increasingly more secular. That is the reality not just in Europe but also here in the United States. The culture in which we are being formed is one that has become more and more alienated from, at times even hostile toward, the things of God. What we value most as Catholics—faith, sacrifice, obedience to the teachings of the Church which have not constrained but set free and guided the souls of millions of faithful men and women for centuries—these things are increasingly questioned and even discounted. This creates a challenge for us who are called to proclaim and announce the message of the Gospel to the world. What does it mean to announce this message of faith and eternal life in a context where materialism and the values of this world only hold sway? Even within the Church, we encounter the difficulty of announcing the Good News to those who have also been affected by the culture in which we live. Catechesis, the explanation of our faith and the teachings of the Church, are done sometimes only with difficulty and the challenges are many. 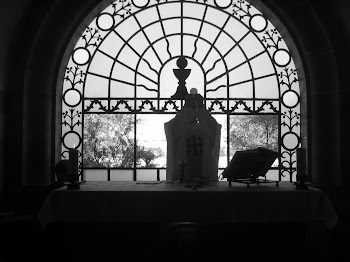 We can ask ourselves, “How could I ever expect to be an effective minister of the Gospel or a fruitful priest in the face of so many challenges?” Perhaps Fr. Robert Barron or Archbishop Dolan could make a difference, but what about me? What do I have to offer to the world or to the Church facing such adversity and so many obstacles to faith and the truth of the Gospel? This morning we are reminded—by St. Luke and in this Feast of the Presentation of the Blessed Virgin Mary—that when we give what we have to God, He "by the power at work within us is able to do far more abundantly than all we ask or think" (Ephesians 3:20). The old woman in the Gospel of St. Luke places a meager offering into the treasury, just two small coins. It would have been thoroughly inadequate and insufficient to put even a dent into the amount necessary for sustaining the day-to-day maintenance of the temple. Yet it is more than sufficient to gain the attention of the eternal Son of God. Christ takes notice, his interest is instantly piqued, and he points her out to His disciples as the exemplar of what it means to give oneself entirely to God. That passing moment becomes immortalized in the Gospel; the story of this woman and her two small coins will continue to be told until the end of time. We give God what we have and He accomplishes great and awesome things. Such is the case of the Blessed Virgin Mary. Her parents Anne and Joachim bring her to the temple and present her before the Lord. A young girl, especially in the cultural climate of the day, would have been insignificant indeed in comparison with the great religious and political conflicts that were legion at that time in occupied Palestine. She was not a man who could someday become king, or have great influence on the political scene. Yet that young girl would be the gateway through which the Redeemer of the world would come. 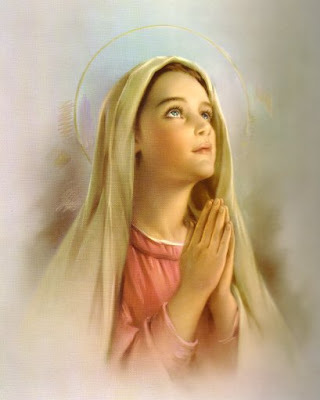 Upon her “Fiat,” her simple, humble, “Yes,” to God rests the hope of salvation and the redemption of all mankind. She was all that Anne and Joachim had, and they gave her to the Lord. The rest is salvation history. What is God asking of you today? What is the offering you are asked to make as you continue your formation for the priesthood of Jesus Christ? The world in which we live does not always value a vocation to the priesthood. Your offering may seem insignificant and insufficient to meet the needs of what the world is searching for. But that offering, made to God in sincere faith and trust in Him, has the power to bear tremendous fruit in the Church and in the world. Today we make that offering to God. Joined to His sacrifice and His offering at this altar, we surrender to Him what we have, and we trust in faith that He will continue to accomplish beautiful and awesome things in us.